The Past... - EXMOOR 1820 ... THE YEAR OF CHANGE. '​Mr Knight of Worcestershire has purchased the allotment….. on Exmoor Forest for £50,000. 1820 - The Year of Change. ​​ John Knight, who moved to Exmoor from Worcestershire, purchased most of the former Royal Forest of Exmoor by 1820 and began an ambitious land reclamation project – the single biggest of its kind in England. After 17 years he left Exmoor and never lived there again, retiring to Rome, leaving his 16,000 acre Exmoor estate in the hands of his son Frederic Winn Knight, who continued to reclaim the moors and build farms, many of which survive to this today. No one person has done more to shape the direction of Exmoor’s landscape than John Knight who died in 1850. He is poorly understood and relatively little known. What kind of man was he? Who and what influenced him before he came to Exmoor? And how did these factors shape the Exmoor enterprise? Now, an extensive collection of Knight family papers has been discovered in the possession of one of John Knight’s descendants by marriage who lives in Worcestershire. Most of the papers relate to the improvements of Exmoor and shed detailed light on John Knight’s great Exmoor project. 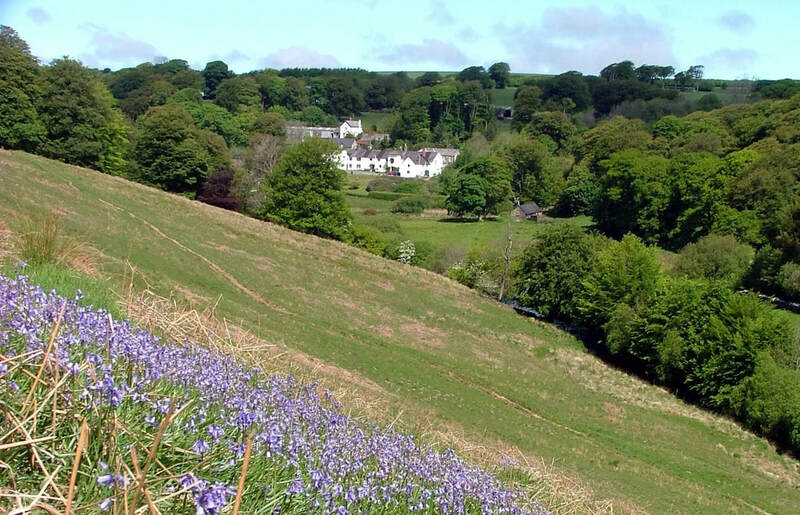 These papers transform how we see John Knight and his ambitious plans for Exmoor and reveal how John Knight set about turning the empty moorland of central Exmoor into a productive estate. For the first time we have detailed accounts of this work which show the fast pace of building. In 1819/20 John Knight began a great mansion at Simonsbath, built two farms, two canals, 22 miles of roads and a network of little ‘Scottish-style’ cottages all over his estate. In 2013, Exmoor National Park bought one of these, White Rock Cottage in Ashcombe, and has been trying to find a use for it that benefits the community, businesses and visitors to Exmoor.